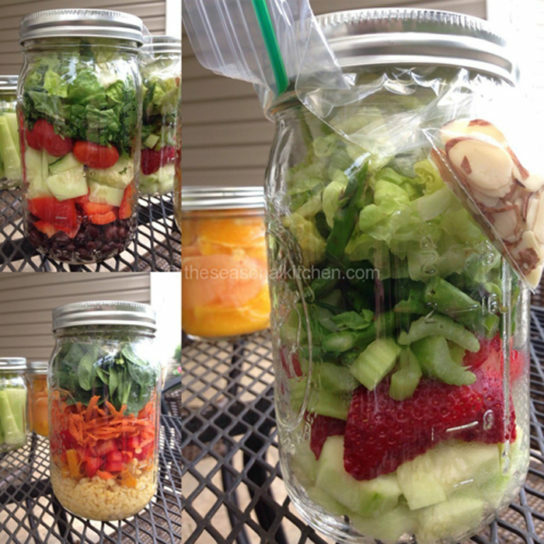 Plan ahead and make salads for the week and you’ll be setting yourself up for healthy success! Half the battle of eating healthy is truly about planning ahead and prepping your ingredients. 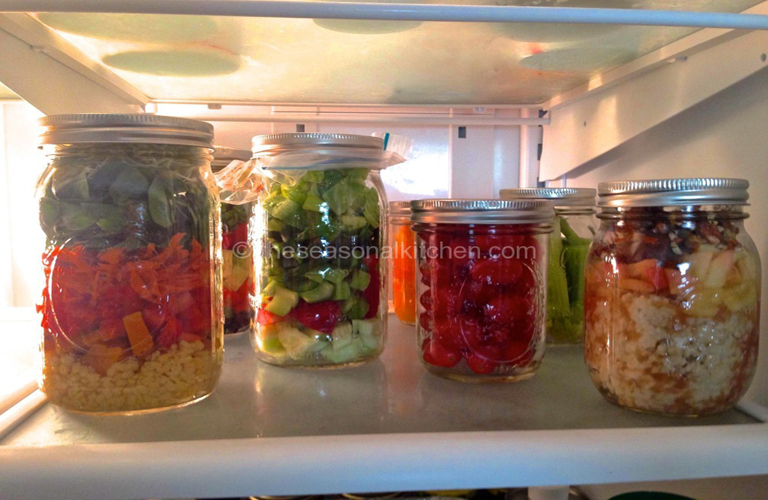 Glass jars are preferred over plastic because glass food storage is a healthier choice and it also helps keep the heavier wet foods away from delicate lighter foods you layer on top. When you’re tired and short on time, later during the week you’ll thank yourself for planning ahead and having lunch and dinner ready to enjoy! Take a peek at these quick prepped, grab and go foods. These salads are ready to enjoy, just wash and prep produce for snacking with hummus or guacamole, and create some breakfast items that can be prepped for the week too. Hopefully this inspires you to prep your week for healthy success!